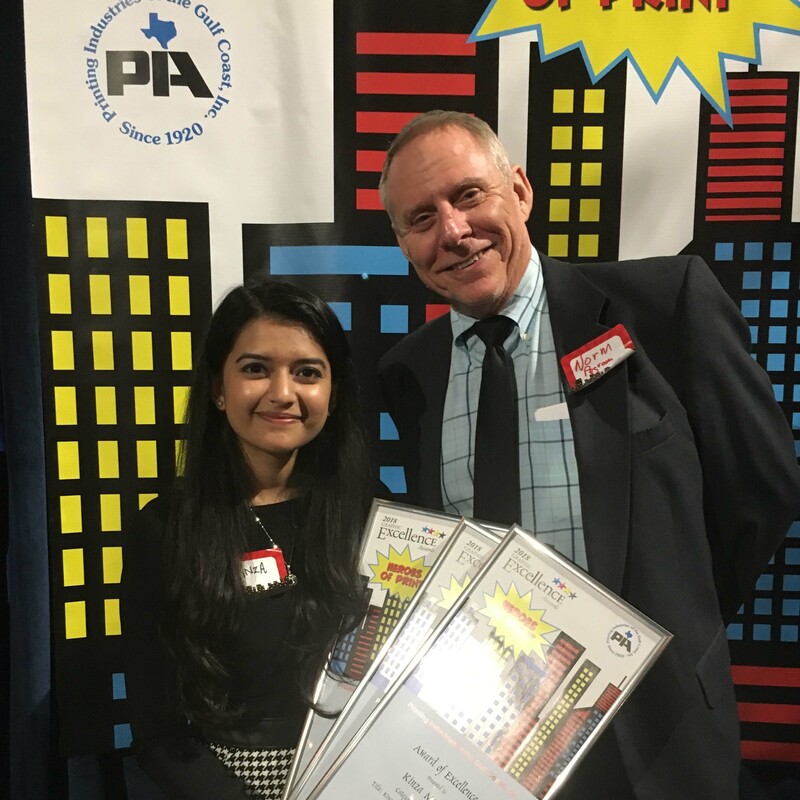 Digital media students Solida Chem, Kinza Muzahir, and Galina Spencer won Awards of Excellence, presented by the Printing Industries of the Gulf Coast (PGIC). Their entries racked up eight awards in several categories. Rosa Cornejo (not pictured) earned an award for Best Student Entry. 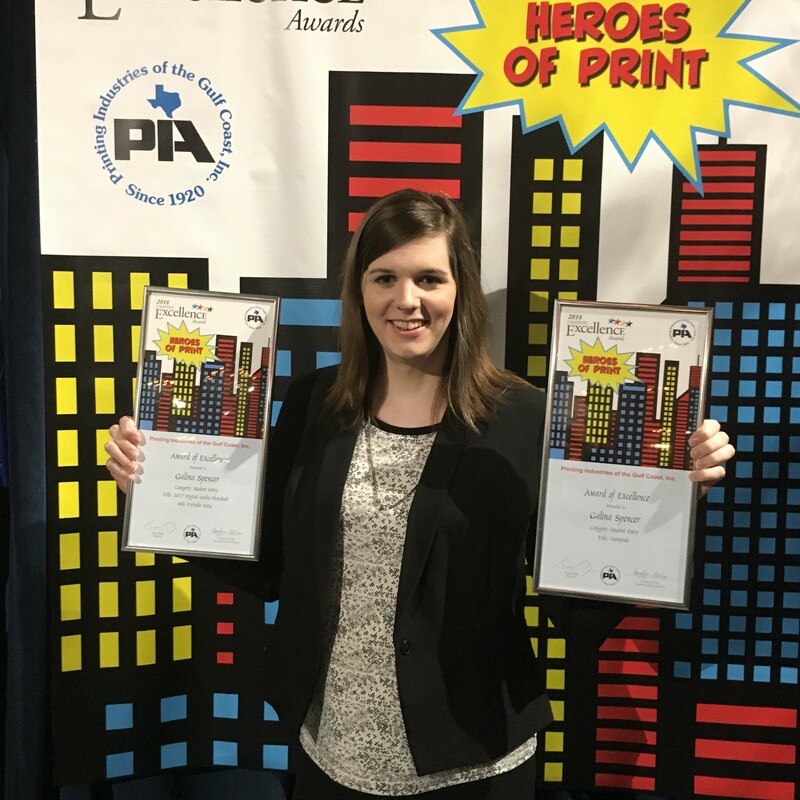 The PIGC Graphic Excellence Awards Competition recognizes the best in technology, and artistry from the printing, imaging, finishing, and creative communities. 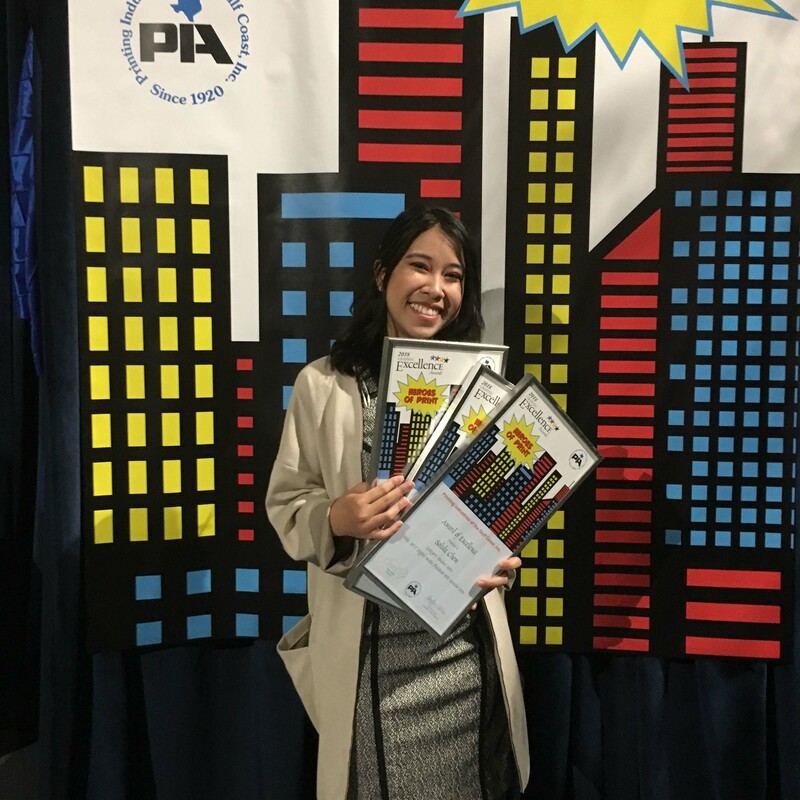 The students received the awards during the 2018 Graphic Excellence Awards Gala, April 18, at the Bayou Place in Houston.